Please ensure that you notify Box Office staff at the time of booking if you will be using the open captions on the TV screens to the side of stage. This will mean that you are allocated seating with a good view of the screen. If you are using our GoTheatrical! app, please ensure you have downloaded the app to your device before you arrive to the show. Alternatively, a limited number of devices are available to borrow from the Cloak Room before the show. The astonishing Amanda Muggleton IS the original diva. She creates fireworks on stage as the greatest dramatic soprano of her time – Maria Callas. After a sensational career that saw her become the undisputed star of the world’s best Opera Houses, Maria Callas conducts a series of master classes to a select group of young vocal students at the Juilliard School in New York. 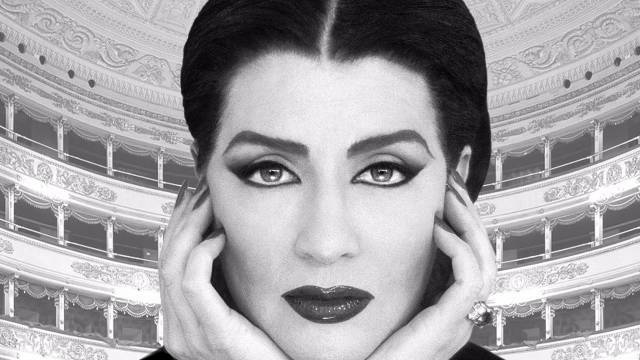 In Terrence McNally’s extraordinary theatrical tribute Callas takes centre-stage one more time, as she passes on to her students, and to us, the experiences and lessons of a lifetime. We witness her passion and commitment and realise the uniqueness of her great talent as she cajoles and lectures her students, delivering wisdom and insults in true diva style. Amanda Muggleton is one of Australia’s greatest and most loved actresses. In a career that spans over four decades, Amanda has more than 50 theatre, film and television credits to her name.